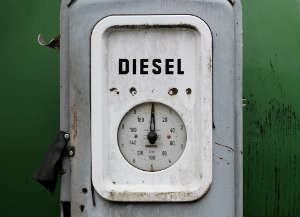 Oregon is attempting to phase out trucks with old diesel engines within the next ten years! This means that all engines in trucks of medium or heavy-duty size that are registered in Oregon would need upgrades. If this happens, trucks need to upgrade to an engine from 2010 or newer. And, the deadline for this? 2029. Lawmakers discussed this proposed bill, House Bill 2007, earlier this week. Interestingly, the proposal suggests using $55 million of money that Oregon won in a previous settlement. This was from the 2016 settlement regarding the cheating scandal with Volkswagen’s diesel emissions. But, what else would the law do? It would increase regulations for companies with public contracts. They’d be required to use newer diesel equipment. What’s the issue with the diesel engines? Well, even though the engines made after 2007 are specifically designed to filter most harmful pollutants from the engines. However, those engines designed in 2010 and after are even better. But, will this bill stick? Lawmakers failed to pass similar bills in the past. Two different bills, from 2015 and 2017, did not go through. The difference is that now, the bill is sponsored by fourteen lawmakers, many from the Portland area. The Portland area suffers extensively from the diesel engines. In fact, some areas in the city have diesel pollution twenty-five to fifty times higher than what the state claims is healthy for breathing. Interestingly, both Washington and California have stricter regulations regarding the diesel engine trucks. Therefore, some businesses send their older trucks up to Oregon. This increases the problem. But, opponents of the bill say that the requirements are too strict. The 2007 engines eliminate most of the pollution already. In addition, they wonder why the law has to apply to the entire state when the main issues exist in the bigger cities and urban areas. What do you think about regulating the diesel emissions? Is the proposed law too strict, or is it necessary?